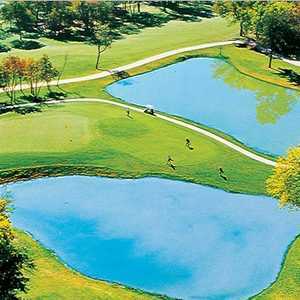 EULESS, Texas -- When Texas Star Golf Course opened 18 years ago in the Pipeline Industrial Area of this mid-cities town between Dallas and Fort Worth, there were lots of questions about just how popular and financially successful it would be. Texas Star upped the ante with major upgrades, including new ultra-dwarf Bermuda mini-verde greens. Afterall, a landfill is within a driver's distance (although you will never see it). The fact is, however, this Keith Foster design was a gem when it opened, and it is even better today thanks to more than $500,000 in upgrades and improvements. Make a list of Texas' top 10 municipals, and I'd put it ahead of many, including El Paso's Butterfield Trail and Dallas' Stevens Park. 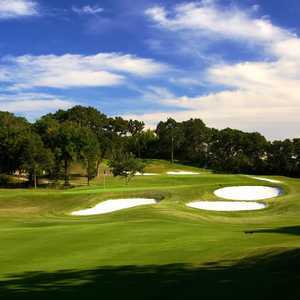 I'd rather play Texas Star any day than daily-fee layouts such PGA Tour-stop TPC Las Colinas in Irving. "This is just a beautiful piece of property with hills and elevation changes," said Scott Boven, superintendent. "During construction they kept as many trees as possible so on most holes you don't even see adjacent holes. "Golfers always tell me this is a municipal that gives a country club feel -- from the minute you drive into the parking lot until an attendant takes you back to your car. Service and conditions are a no. 1 priority." Major upgrades included replacing the bentgrass greens with ultra-dwarf Bermuda mini-verde, which is recommended by experts for the D-FW Metroplex. Bentgrass is a cool weather grass; Bermuda thrives in the heat of August. Also, the 50 bunkers were rebuilt and filled with premier-white sand made from crushed quartz, known to be easier to hit out of for players of all skill levels. Add 80 new golf carts with GPS that includes lightning warning, a rework on tee box leveling and a cleanup of the pond on no. 16, and you have a today's technology golf experience. This par-71 test of 6,936 yards has targets and options in abundance. Foster sculpted it out of 275 acres of rolling terrain with 100-year-old oaks and natural woodlands, tall native grasses and Hurricane Creek traversing through it. No homes infringe on the golf course. Instead of a walk through an industrial park, you have a Texas Hill Country feel with many star quality holes less than 30 minutes for D-FW International Airport. Obstacles include ridges, grass bunkers, sand and Scottish-links style eyebrows -- which are basically protrusions and upheavals of turf right there in the middle of the fairways or spots you wouldn't imagine. The ninth hole, a 422-yard par 4, is the no. 2-handicap hole. It's named Devil's Point and requires thought for the long hitters. There's water crossing the fairway about 100 yards out. Johnson's Crossing opens the back nine with an uphill tee shot on a 539-yard par 5 that slopes left. The tee shot must clear two large fairway bunkers, then you have to negotiate the creek that crosses in front of the green. Double Barrel on 11 gives you the option of going low left or high right on the tee shot. It's only a 337-yard par 4, but there are three bunkers surrounded by thick grass on a ridge in the middle of the fairway. On 13, Coyote Bluff, you have a blind tee shot that doglegs slightly left. Hit a good one, and you can see the green well below you on this 414-yarder. Battle Cry, the 370-yard, par-4 15th, is the best looking hole with a waterfall centerpiece. You have the option of hitting it long and right over the creek to have the best angle to the green. You can also hit it straight and short of the creek, dodging a bunker, to have an uphill shorter second shot. Presidio -- the short-and-scenic, 179-yard, downhill par 3 -- follows as no. 16. The hole spotlights a stacked rock wall edging the creek on the right. The finale, named Deguello, is a par-5 535 yarder filled with target options. There's water on the first and second shots, and average players will have to hit a shorter second shot because the creek crosses the fairway. You will also have to steer clear of a fairway bunker right near the 150-yard pole. Big hitters going for the green in two have to watch out for hanging the shot right, because the creek passes to the right of the green. Texas Star G.C. is a partnership with the City of Euless. 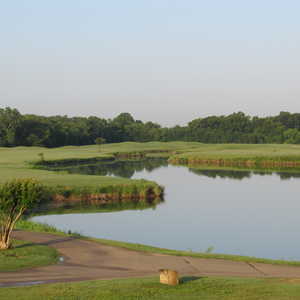 The golf course was completed in 1997 as part of the 321-acre Texas Star Sports Centre complex in Euless. It is an amateur athlete's dream, the overall complex also includes Parks at Texas Star baseball, tee-ball and soccer fields, batting cages, Softball World fields and pro shop, and the Euless Dr Pepper StarCenter. Texas Star is a winner. The clubhouse looks like a Hill Country ranch house. The practice facilities are impressive, and the restaurant named Raven's Grille is a favorite of locals, not just golfers. Don't miss the chicken-fried steak.